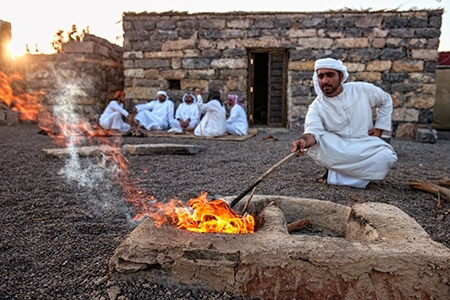 Every year, the Center constructs a section illustrating an open museum model to showcase traditional Emirati life in the past. This model resembles a true Heritage Village, with houses built showing the story of the country’s evolution and reflecting the three different geographical natures of the UAE. For nearly six months, as per the duration of Global Village, the Heritage Village hosts various events and activities in celebration of culture, expressing the genuine Emirati hospitality, music and folk-art.